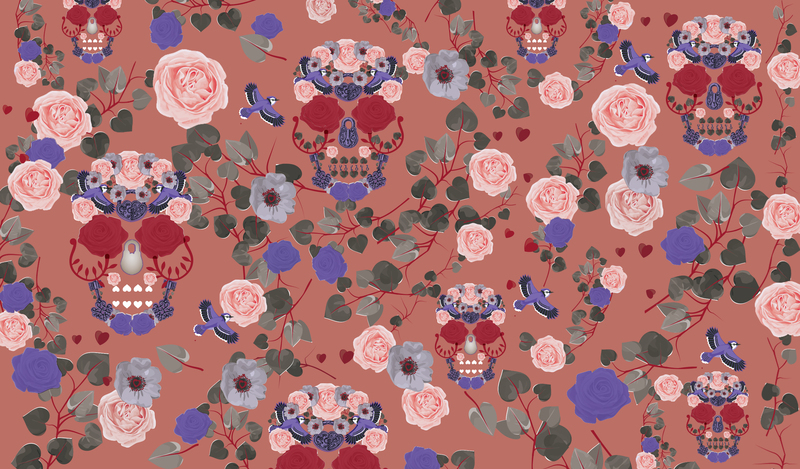 Experience the mysterious world of Tempt. The enticing oriental and woody notes with a modern rose heart will refresh your hair and make it smell gorgeously irresistible. This multi-award winning hair hero is Australia’s #1 Dry Shampoo Brand and the perfect fix for great looking hair, even between washes. A few quick bursts instantly transform your look. Your hair will look clean and fresh, with added body and texture, with no water required! It’s the perfect way to extend your blow dry, free up time in the morning or give your hair a new lease of life whenever, wherever it needs it. A delicate dry shampoo with honeysuckle fragrance. 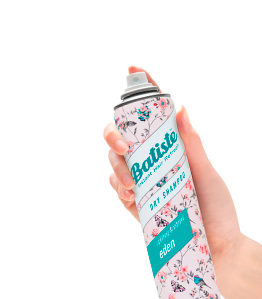 A sassy dry shampoo with a daring fragrance. 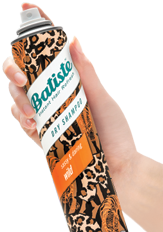 An alluring dry shampoo with a spicy & aromatic fragrance. 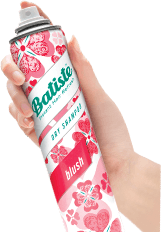 A popular dry shampoo with a floral and flirty fragrance. Make everyday your runway with Batiste! Butane, Isobutane, Propane, Oryza Sativa (Rice) Starch, Alcohol Denat., Parfum, Limonene, Linalool, Geraniol, Benzyl Benzoate, Distearyldimonium Chloride, Cetrimonium Chloride. Extremely flammable aerosol. Keep away from heat/sparks/open flames/hot surfaces – No smoking. Do not spray on open flame or other ignition sources. Pressurised container. May burst if heated. Do not pierce or burn, even after use. Protect from sunlight. Do not expose to temperatures exceeding 50°C / 122°F. Intentional misuse by deliberately concentrating of inhaling the contents can be harmful or fatal. Do not apply to broken or irritated skin. Not for intimate hygiene use. Avoid spraying in eyes. Discontinue if skin/scalp irritation occurs. Seek medical attention if irritation persists. KEEP OUT OF REACH OF CHILDREN.